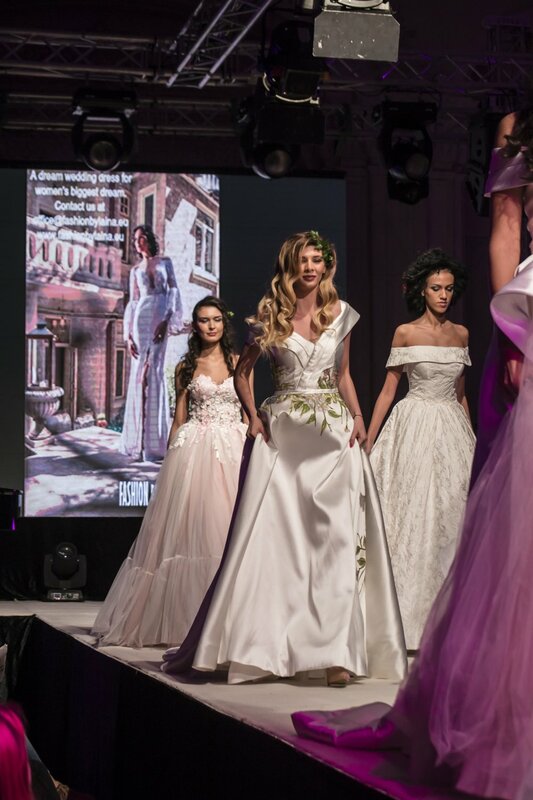 November 10th to 12th, we joined Mariage Fest, one of Romania’s biggest wedding shows to officially launch our beautiful 2018 bridal collection, Rêve de Fleur. 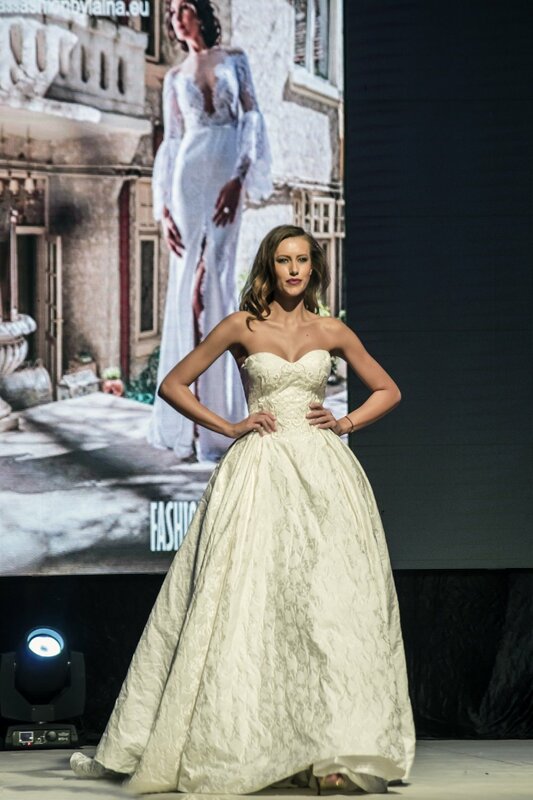 During the three-day bridal show, our show-stopping 2018 wedding dresses took over the catwalk and brides in Bucharest fell in love with our fairytale styles. 2018 wedding dresses featured (back to front): Elléboré, Jardin. This wedding dress is a statement jewel! 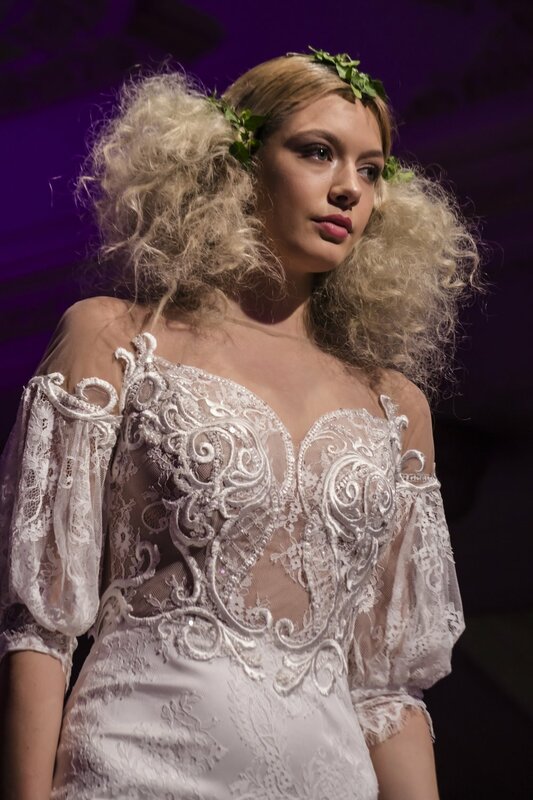 From head to toe, this bridal gown is all about bold detailing and feminine cuts. Be a divine apparition on your big day with Aster. Shop this wedding dress here. Can you imagine walking towards your one true love dressed in this super romantic, lace wedding dress? This spectacular bridal gown has it all: a mix of old and new, of traditional and bold, of elegance and romance and seduction. In this beautiful brocard wedding dress, you are going to make a royal statement of finesse, elegance and personal style. The royal train, the stunning texture of the brocard and the sweetheart cleavage will make you feel unique on your special day. In this wedding dress you will be an unforgettable appearance. The mesmerizing mix of hand applied lace detailing, the off-shoulder cleavage and the body-hugging silhouette are going to make you feel and look like a goddess of love. 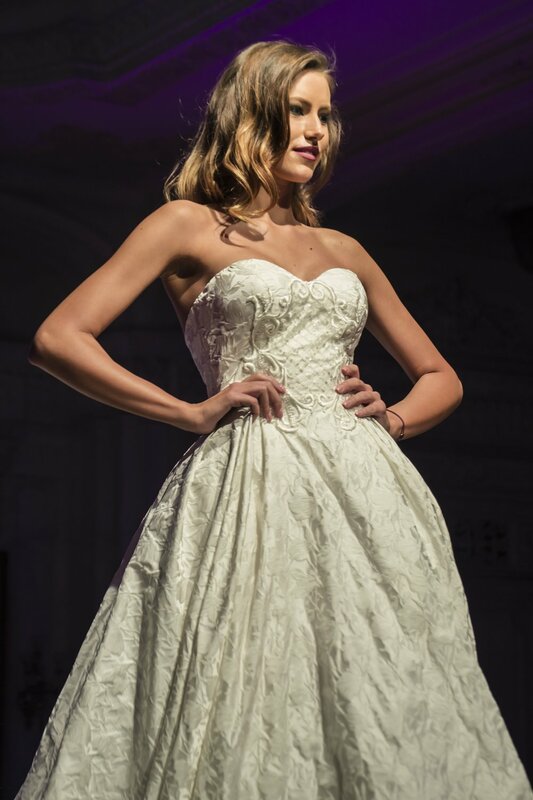 An unforgettable retro wedding dress, in this gown you'll make the ultimate statement of romance. The large flare sleeves, the mermaid, body-hugging silhouette and the waist necklace complete a story of love and ultimate style. You will feel like the queen of his heart. Stand out in our Muguet lace dress! The fine lace tells a story of elegance and femininity, while the sleeves, the deep V-neckline and the slit skirt add a touch of seduction and modernity. Follow your dream of love in this ravishing dress A-line wedding dress. Imagine spending the first day of your new life as wife and husband in this dreamy gown. It takes you in waltz steps to the big day of your life. Oh, what a dress! In this stunning lace mermaid wedding dress you are definitely going to steal the spotlight. 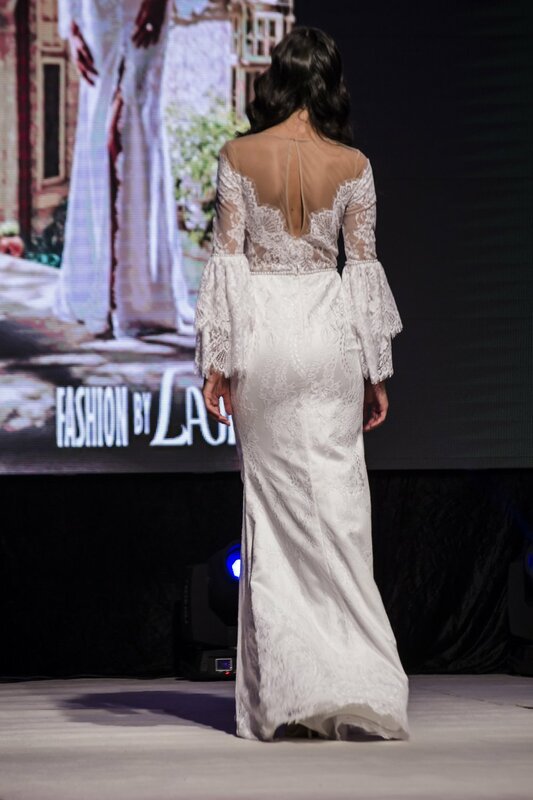 The perfect mix between traditional and modern, this long-sleeved lace gown is a statement of beauty and style. Rêve de Fleur is a bridal collection where each wedding dress tells a love story written in fine, lightweight and luxurious fabrics and flawless hand detailing. Brides have a wide choice of sensational backs, sweetheart and V necklines to complement the classic and fabulous A-line gowns and the sensuous, fit-and-flare mermaids and fishtails. See the full 2018 bridal collection here. At Fashion by Laina, we work tirelessly to give our discerning customers a flawless fashion experience. We design and create with their happiness in mind. To see our 2018 wedding dresses, please contact us here.